With just one click in our control panel you can install Magento 2.3.0! Allow you to create a highly customized online store that you can expand without limitations start from $5 per month. Magento is a very powerful and fast growing ecommerce script. It is an open-source platform using Zend PHP and MySQL databases. Magento offers great flexibility through its modular architecture, is completely scalable and has a wide range of control options that its users appreciate. 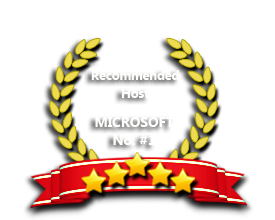 The ASPHostPortal.com's ASP.NET hosting platform on Windows 2012 and Windows 2008 is compatible with Magento 2.3.0 hosting. We provide full compatability with Magento 2.3.0 hosting and all popular plug-in. Free professional installation of Magento 2.3.0. We have excellence knowledge and expertise. Our Windows Cloud Hosting fully supports Magento 2.3.0 hosting. You are more than welcome to try our Free Windows Cloud Hosting before you decide to buy. You can get your Free Cloud Windows hosting account up and running within the next few minutes.